This 12x12 double sided paper has rows of Border Strips on the frontside. 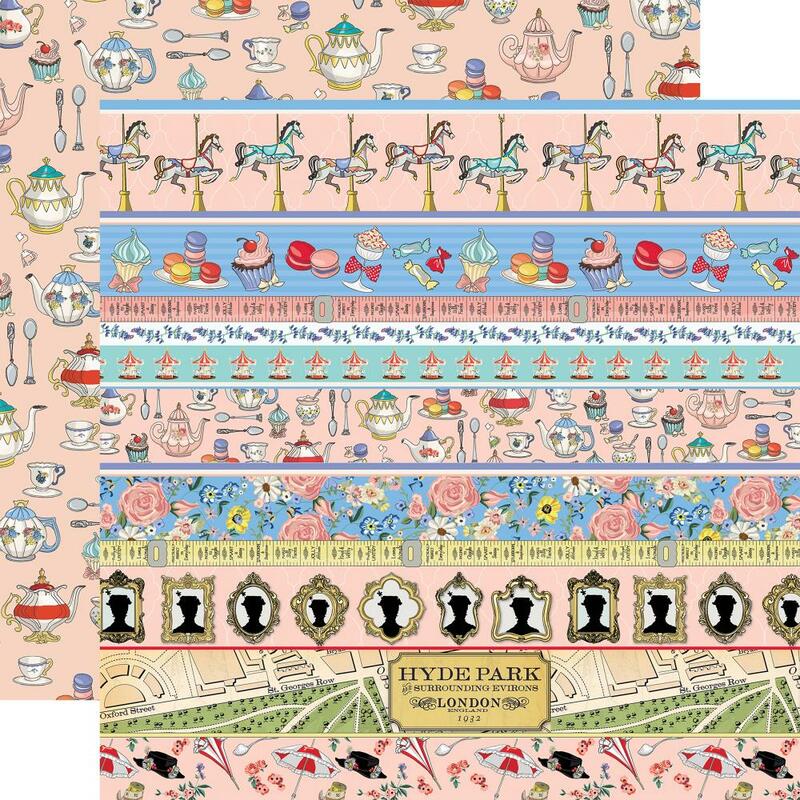 The reverse side has Images of Teapots, Teacups and delicious pastries. Look for coordinating Decorative Brads, Chipboard Elements and beautiful textured Designer Papers. Part of the Practically Perfect Collection by Carta Bella Paper Company.